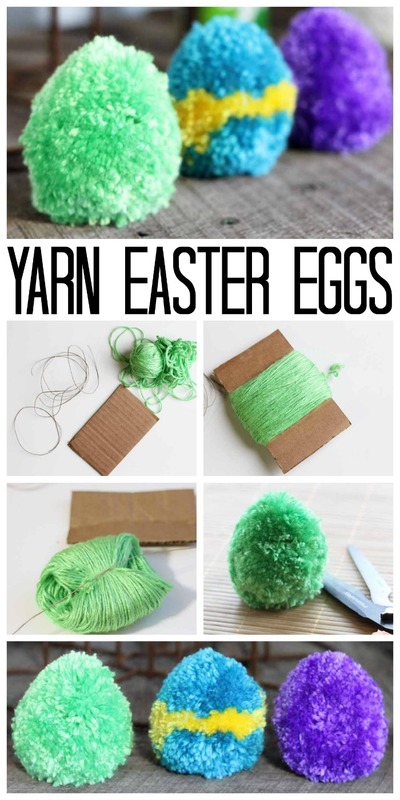 Today I am going to share with you how to craft pom pom Easter eggs from yarn. I am also joining up with a group of my friends to bring y’all some Easter egg crafts that you will love. 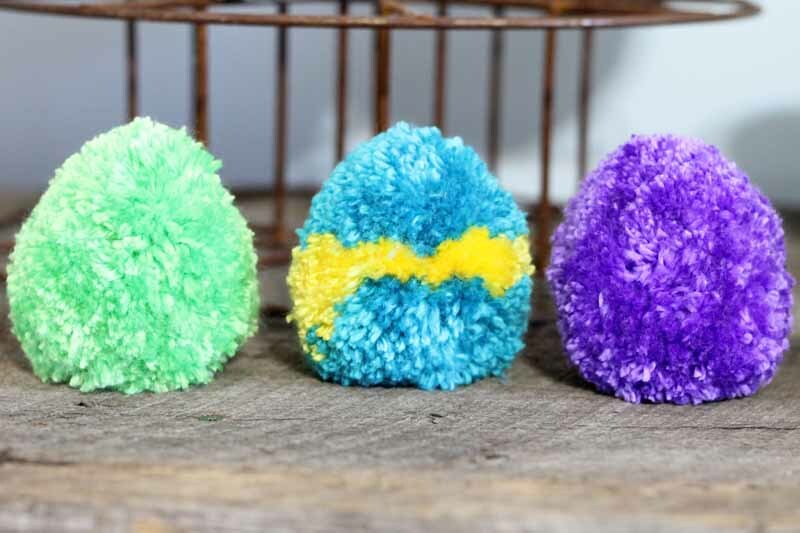 Read all about my Pom Pom Easter Eggs from yarn then click on over to some more egg crafts at the bottom of this post. These are also a great craft to let the kids help with as well. 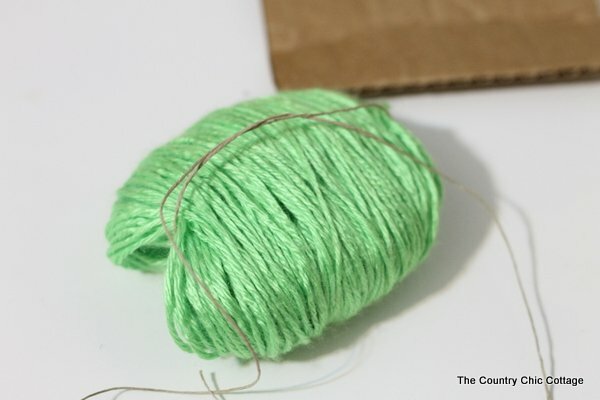 Break out your yarn and lets get started! Pompoms are everywhere right now in the craft world. I got a book in the mail called Adventures in Pompom Land: 25 Cute Projects Made from Handmade Pompoms . The book is a collection of small animals that you can make from pom poms. I didn’t feel ready enough to tackle an animal but it did open my eyes to the fact that pom poms can be shaped. So I made up a batch of pom poms and shaped them into Easter Eggs. 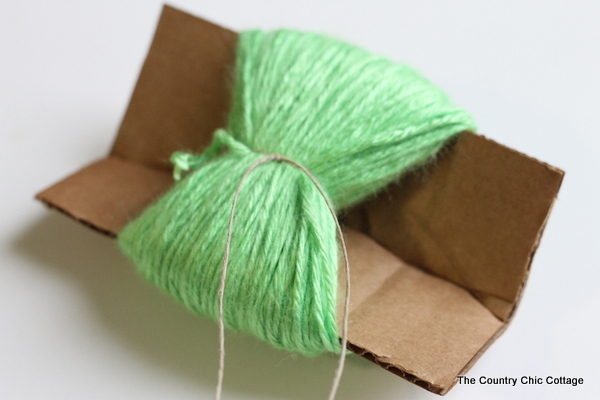 Ready to learn a little bit about making a yarn pom pom? 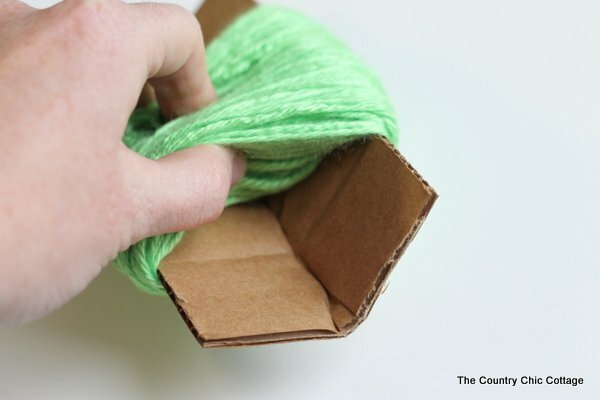 Begin by wrapping your yarn around your cardboard piece. The pompoms in the book all used A LOT of yarn. They were very dense. 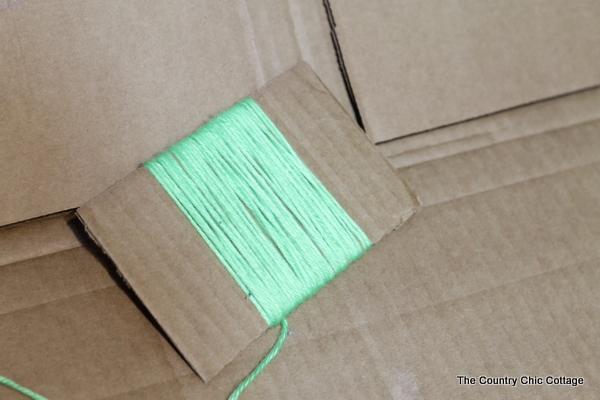 So wrap, wrap, wrap until you have a bunch of yarn on your cardboard. I then creased the cardboard down the center so I could make a “tunnel”. 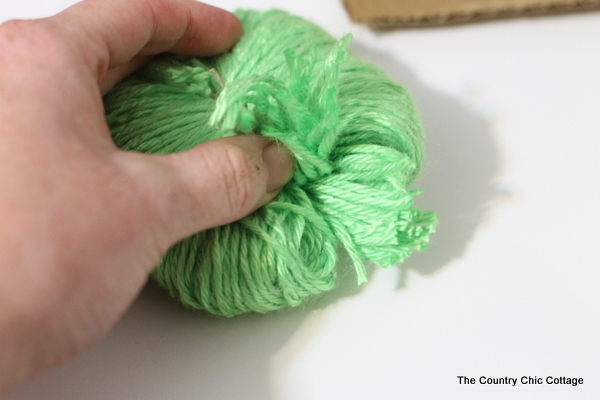 I slipped my hemp into that tunnel and tied off my yarn in the center. The bundle will then slip off of the cardboard piece. 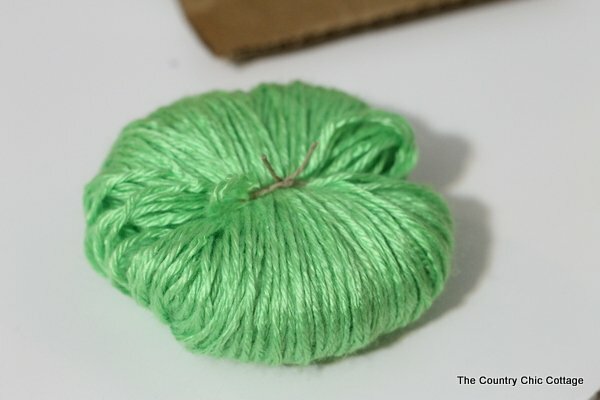 I then wrapped my hemp around the back of the bundle and tied. Each knot should be tied just as tight as you can get it. I then brought my hemp around the front and tied again. Just an extra insurance. 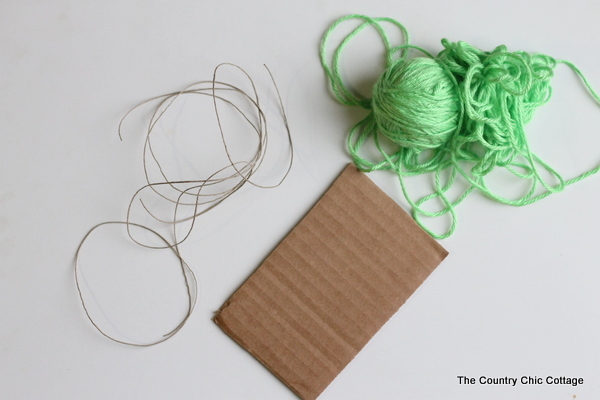 Cut off any excess hemp cording. Now we are ready to snip those loops. Pull them with scissors and cut them a small bunch at a time. When you are done you have one wild looking pom pom. But don’t worry we are going to fix it. Trim, trim, and trim some more with scissors. 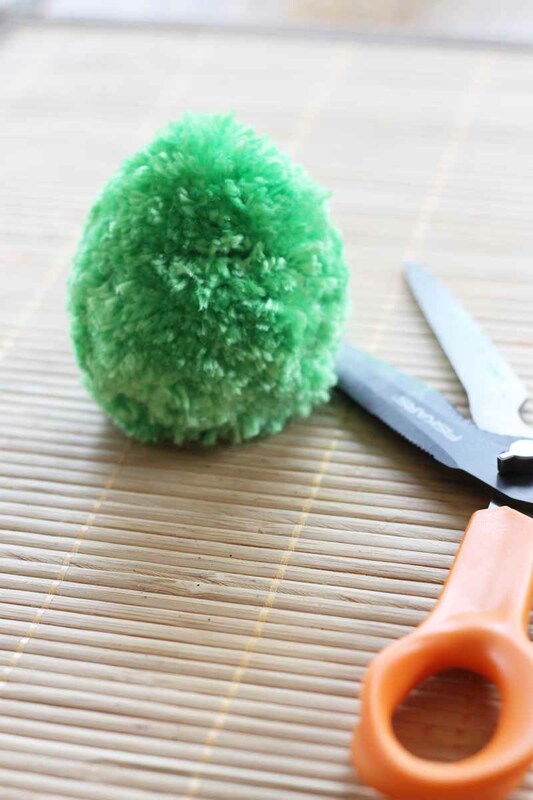 Gradually take away the frazzled ends and shape the pom pom into an egg. 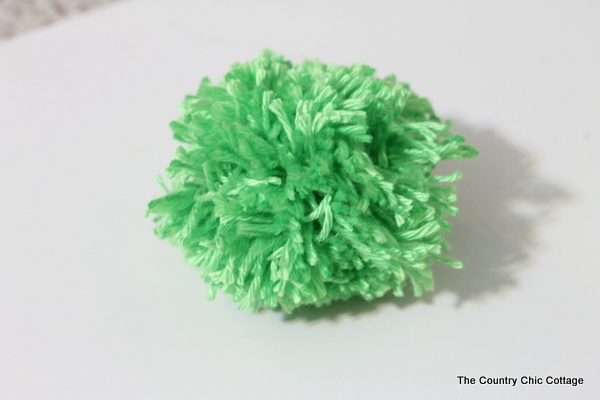 As you can see, you really are transforming the pom pom and you have to take a lot off to get them to look like this. This is the perfect part for the kiddos to help with. Give them a pair of scissors and let them give these guys a haircut. 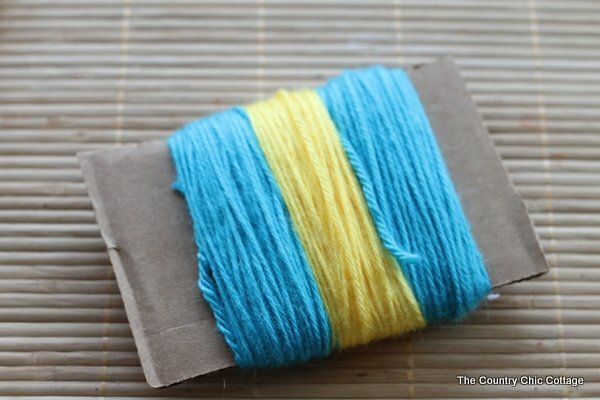 Want a stripe in the center of your pompom egg? 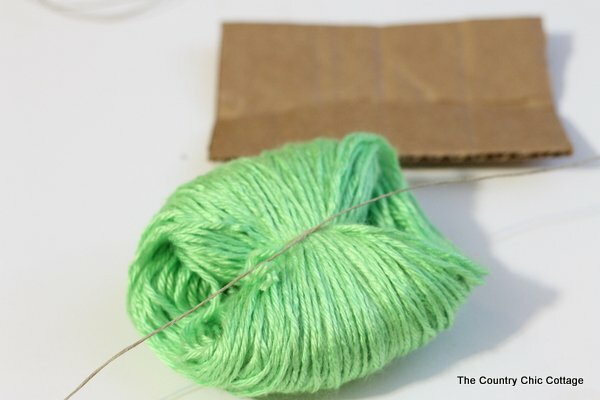 Wrap your yarn like the picture below and then follow the instructions above. 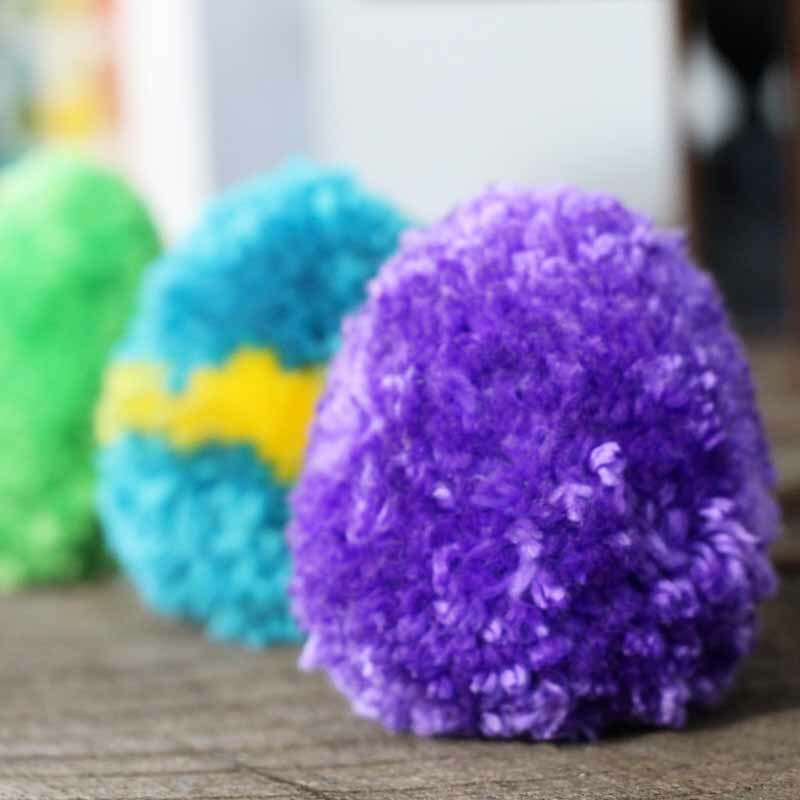 Your pompom Easter eggs are ready to display. Yep these are on my barn wood mantle. The little guys sit all on their own when you are done. What a great way to bring pom pom decor into your home for Easter. 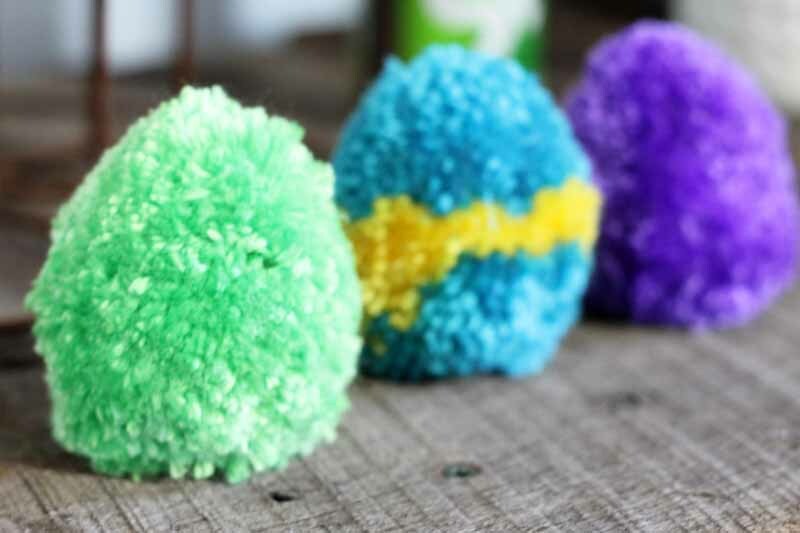 Be sure to craft some of these Pom Pom Easter Eggs from yarn this holiday season. My blog friends have created some Easter egg crafts for you as well. Be sure to click over and see all of the projects. These are ADORABLE, Angie!! What a great idea! Ah, they are so adorable I can hardly stand it! So cute!! 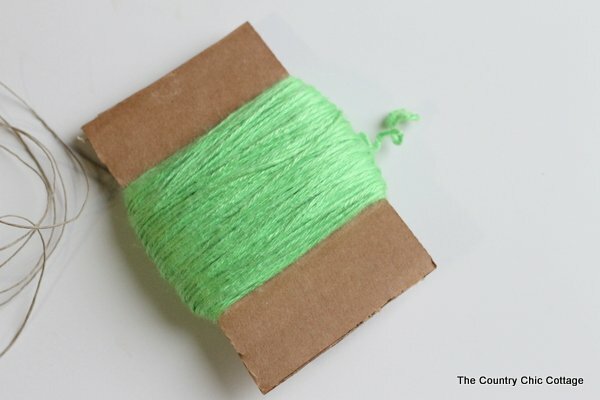 What a great idea to use up that left over yarn!